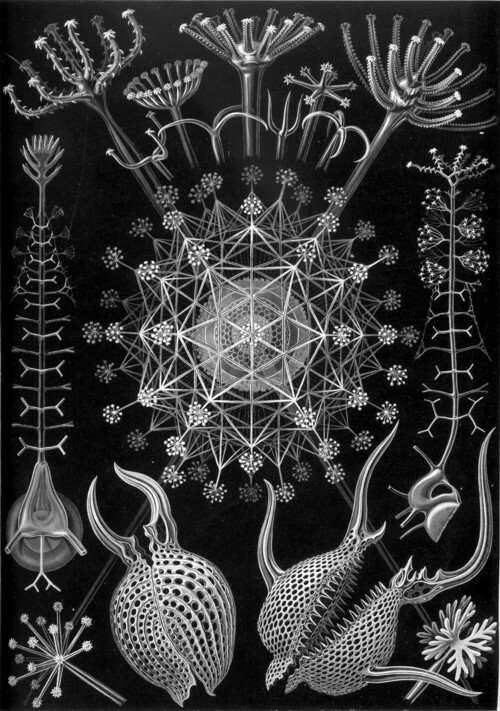 In his column in the VPRO guide Wim Noordhoek recently wrote about ”radiolarian” . 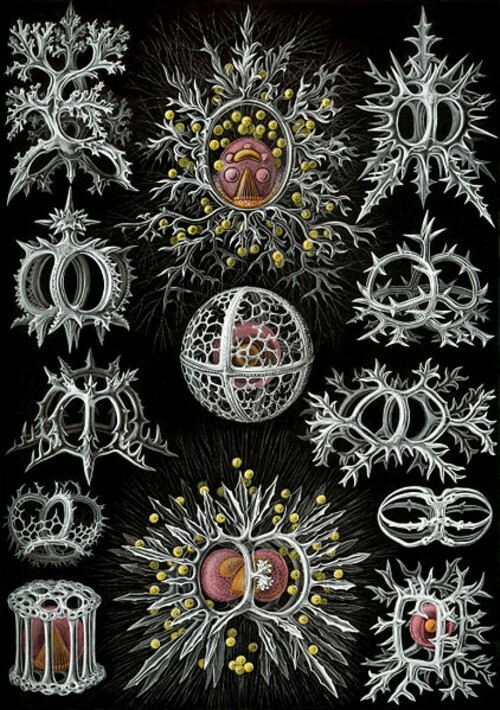 I cannot remember that I have ever heard of these organisms before, but there was a little photo of some of these creatures with the column that intrigued me very much. 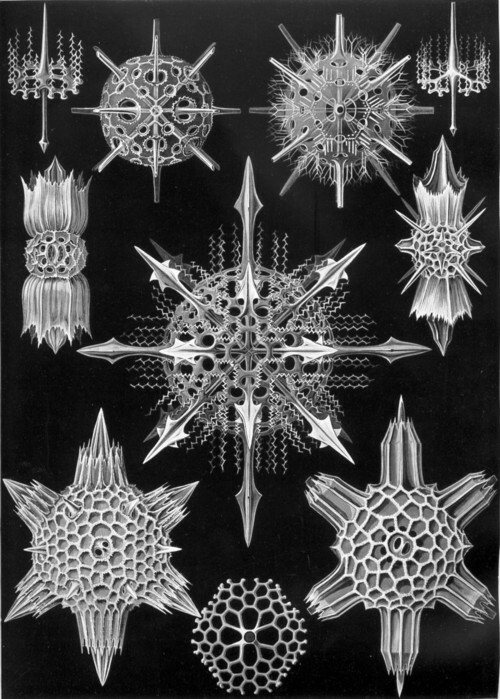 So tonight I did a Google search and found out that the whole world has been studying radiolarian without telling me. 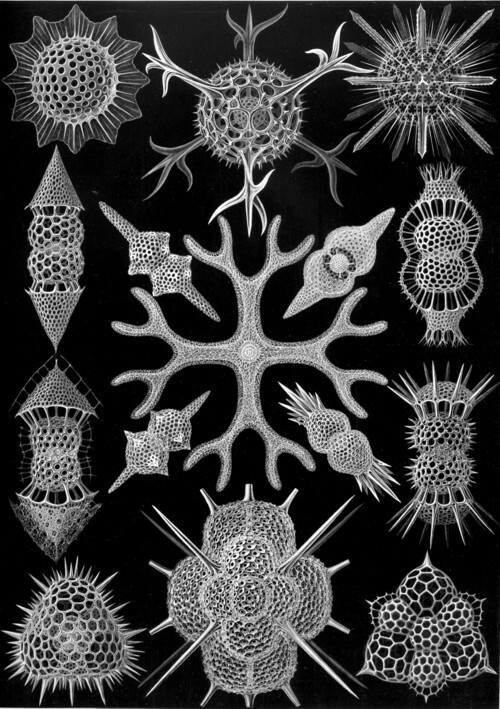 No need to say that these radiolarians remind me of the shapes seen in Cymatic experiments. In fact, some images seem almost identical. Again, I feel a big idea lurking in the back of my mind, in which all this stuff is shown to be connected: sound, organic life forms, DNA, language… But unfortunately it is beyond the reach of my thinking apparatus at this moment. I am currently writing an advanced textbook “Nanomaterials – Size-Dependent Phenomena and Growth Phenomena”. 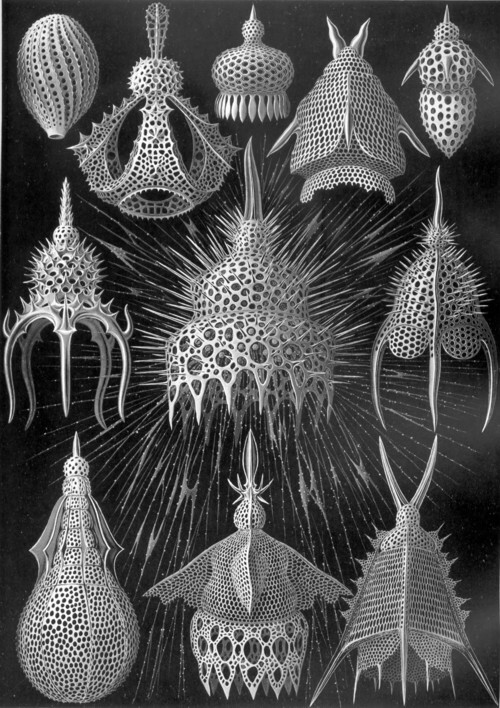 In this book I would like to use the last of the above radiolaria figures on this homepage, and I would like to ask you for your kind permission to use it.